1. Intercessory Prayer – I would hope we all pray for those we minister to, but what about others who God brings across our paths? We could quickly compile a large connection collection – people we can bring to God in prayer on a regular basis. My friend is highly purposeful in this ministry . . . photos on the phone for when he loses a signal on the train (allowing him to pray for people), photo albums, lists. How can the impact of this loving ministry be measured? 2. Deliberate Networking – You may have the same reaction to “professional networkers” that I do, but “humble Kingdom building networkers” . . . that is altogether different. Person X has a passion for a certain area of ministry. Person Y might be the ideal resource person or connection for person X. If you know both, shouldn’t you be introducing them? Like the ingredients of fireworks, sometimes it is about bring certain folks together for explosive impact. I suspect a lot of us preachers have largely untapped networks. Maybe we are not imagining the possibilities? Maybe we want everything to revolve around us? 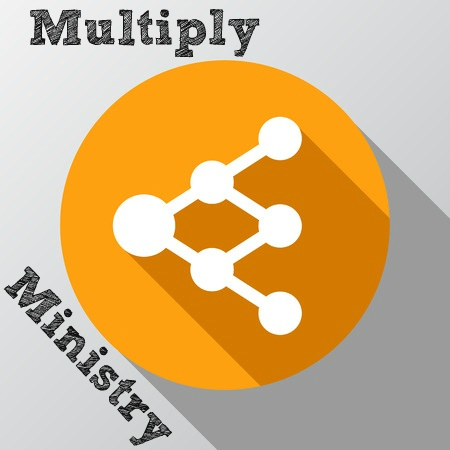 Maybe the greatest ministry impact you will have this year will come from introducing X to Y, or Saul to the believers . . .
3. Funding Conduit – We easily get caught up in the financial needs of our own family and our own church. But there is so much that could happen if funds were released. What if we all wanted to be used in this area? Choose to live on so much, and be diligent in recycling everything else. Hard to imagine how much could be moved on with this approach! Two more to finish my list next time. Maybe you have more ideas to add . . .
Peter, I’m really appreciating the thoughts you are offering in this series, not being a preacher as such, but being one who desires to proclaim the Gospel as I work and minister to others. The thought that came to me as I was reading this post was that we ought to hold everything God has given us with an open hand…our time (to pray, network, comfort, encourage), our finances, our spiritual gifts, even our children and families, etc. As we understand ever more fully His love poured into our hearts through the Holy Spirit, that kind of open-handedness becomes an natural overflow. May God make our hearts sensitive to those opportunities as we grasp how deeply He loves us! Thanks Gretchen, I couldn’t agree more!